I’m so excited to start Beachbody’s latest fitness program LIIFT4 this week. Which means we will be dialing in our nutrition for the next 8 weeks and following the LIIFT4 meal plan. LIIFT4 is Beachbody’s latest fitness program from trainer Joel Freeman. The program combines weight lifting and high-intensity interval training (HIIT). The 32 unique workouts are only 4 days a week and about 40 minutes each. I’m definitely looking forward to shorter workouts and more rest days. The LIIFT4 meal plan uses the Beachbody Portion Control Containers. It’s the same color coded system as 21DayFix and 80DayObsession. I’m on LIIFT4 meal plan A. Added bonus-You get one cheat day a week! I’ll be including the color coded menus and regular format menus. 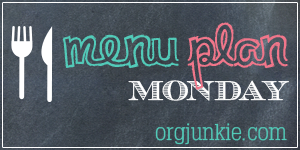 Also, be on the lookout this week for a post to help you with LIIFT4 Meal Planning.